Losing your precious phone to thief or by your own doing of misplacing it is a painful experience. I lost my iPhone 3GS (my first Apple gadget) in a conference hall of a hotel in Kota Kinabalu a couple of years back. I was foolish and naive, I never thought of installing the 'Find my Phone' app until it was too late then. All attempts to recover the lost phone proved futile. The 'golden one hour' was wasted because the phone was not set to 'discoverable' mode. 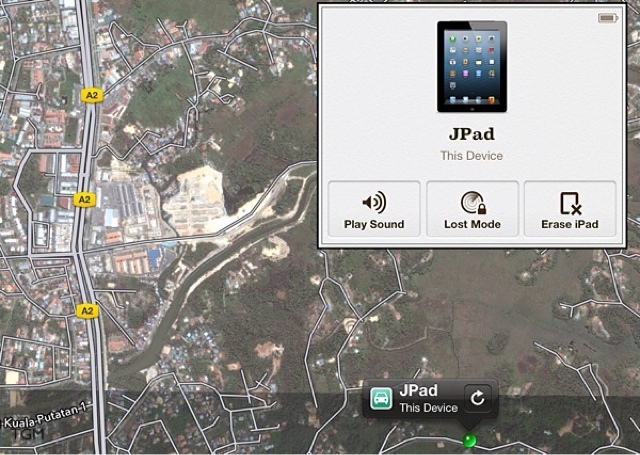 Screenshot of Find my Phone on my iPad, viewing its location in real time. If you are using Android phone, there is now a similar app for it. Google has recently launched an Android equivalent to Apple's Find my Phone app in order to help consumers track down missing or stolen handsets and tablets. 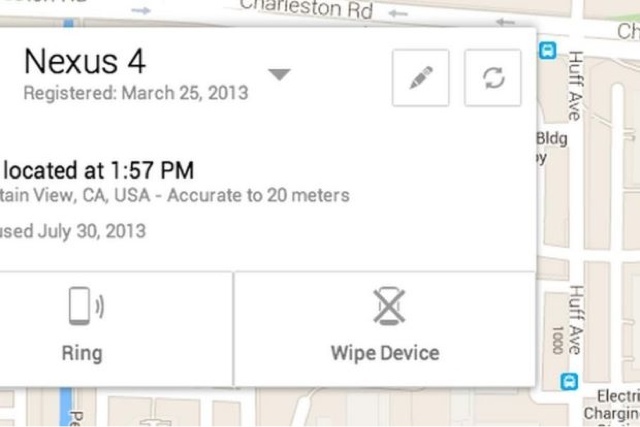 The app is called Android Device Manager and it offers much of the same functionality that is available for iPhone and iPad. Phone manufacturers like HTC, Sony and Samsung all have proprietary security tools on their Android smartphones, but this is the first time Google has released such a feature. It is scheduled to be officially roll out this month. The service will allow users to call their phone and make it ring at maximum volume - even if it is in silent mode - in case it has been misplaced around the home, or view its location in real time on a map if it was left at a restaurant or somewhere else further. If the Android device is missing because it was stolen, the owner can quickly and securely remote wipe all information on it. Google says that the app supports about 98.7% of all active Android devices and the service is compatible with devices running version 2.2 (Froyo) or higher of the operating system. Like Apple's Find my Phone app, it will come with a supporting app for managing multiple devices. TheGreenMechanics: You've got nothing to lose. Install it once it becomes available and avoid my painful experience.